Berlin Gardens Collection Garden Classic Daisy Bar Set features four Garden Classic Bar Chairs featuring the Cozi-Back design for comfort and style along with the Garden Classic Daisy Bar Table.This Garden Classic Daisy Bar Set creates a stylish dining area ideal for any area of your outdoor environment. Perfect for use on a balcony or deck when you want to have an unobstructed view! Sit Back - Relax and Forget about your troubles with this set being made out of 100% recycled poly lumber you can count on the fact that it will never rot - warp - fade or splinter. The design and style of this Garden Classic Daisy Bar Set exemplifies quality craftsmanship of days gone by. The Berlin Gardens Collection Garden Classic Daisy Bar Set is available in 7 solid colors and 6 color combinations. 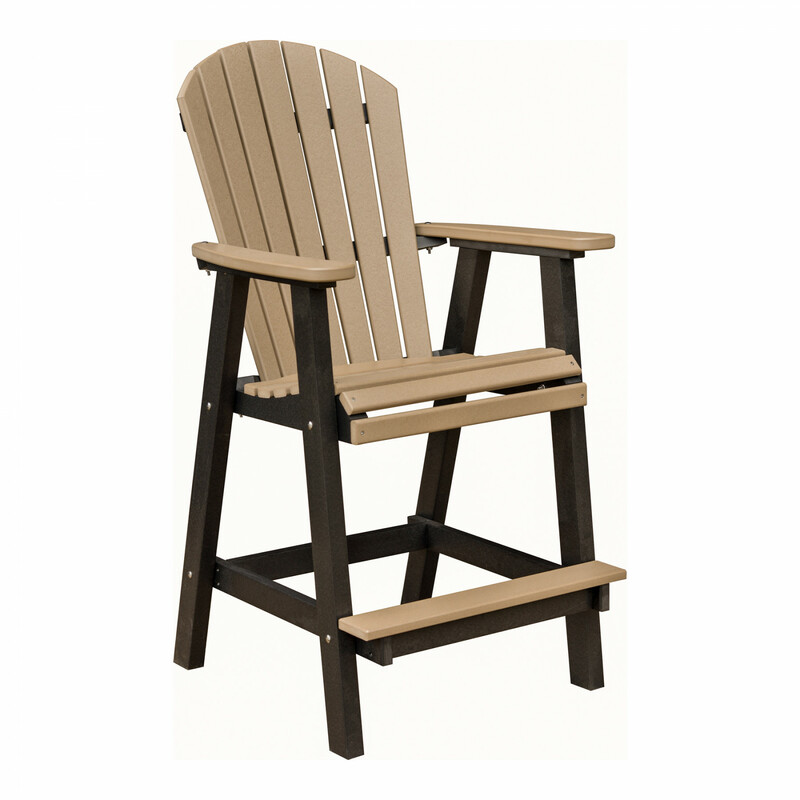 This outdoor bar height seating set is constructed from 100% recycled poly lumber which minimizes your carbon footprint and offers you a lifetime of maintenance free care! 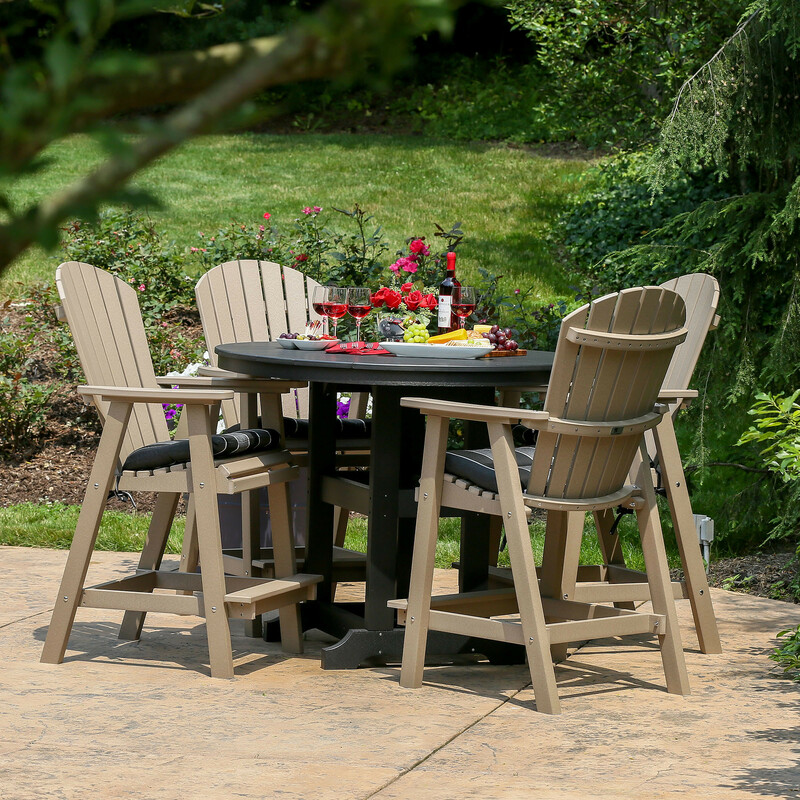 Handmade in the USA by skilled craftsmen from the finest poly lumber - you can count on this Berlin Gardens Collection Garden Classic Daisy Bar Set is known for it's durability - so relax and enjoy a lifetime of use. Weather resistant - so never worry about leaving it exposed to the elements whether they be the salt air - snow - extreme sun - you name it - it's no match for the durability of poly lumber furniture by Berlin Gardens! We love our new pool furniture! The furniture is beautiful, sturdy and perfect for our pool area. I am absolutely thrilled with our purchase. Thank you for your wonderful product. This set is just gorgeous! The quality is exceptional. It was quite easy to put together. All holes and screws lined up perfectly. It was delivered timely and packaged well so no damage. Can not recommend this brand and this set enough. Excellent quality.